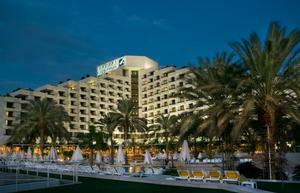 Isrotel King Solomon is a wonderful hotel for families. 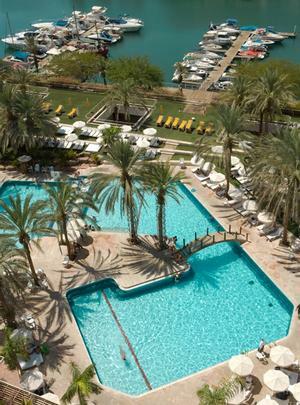 In the heart of Eilat nearby all the major attractions, all the major beaches, restaurants, offering many activities for kids, all refurbished hotel with a kind staff to serve all your needs. A Great family holiday - action for kids, full rest for parents. The hotel main dining room “ King Solomon's Table” offers unique dining experience as all meals are prepared in the center of the room in front of all guests. The Lounge offers breakfast, lunch,dinner and a bar, free WiFi. Opening houres 10.00-20.00 located on the 12th floor.”Angelina Restaurant” a pizza & pasta restaurant. Kosher menu. Free parking awaits you at the hotel. Parking for disabled is available. 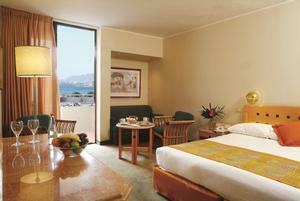 King Solomon hotel offer all guests a large variety of rooms to choose from. All rooms are well suitable for a fun hospitality. All rooms includes WiFi in additional fee, hair dryer, T.V, safe, a coffee kit, mini bar, telephone. There are rooms suitable for up to 5 people. Isrotel shuttle bus waits for hotel guests at the airport and taxi services are constantly available.